Remember the super-talented art student in class who always seemed to turn a simple crayon-and-construction-paper project into a masterpiece? We think we may have found her ... she's on Pinterest! 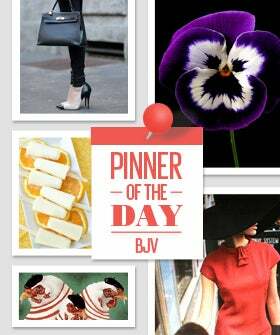 Seriously, Belinda Chatsuwan has taken pinning to an award-worthy level with her gorgeous profile that boasts over 130 boards and 25,000 pins that are not only obsessively organized but also meticulously curated! You'll find covetable lifestyle boards including topics of exotic travel, stylish eats, and fashionable living that really showcase Chatsuwan's artist eye. We're no teacher, but we'd give her an A+++!